Beginning in the fall of 2014 and continuing into the spring of 2017, SERDC, Region 4 EPA, and eight SERDC-member states within Region 4 took part in discussions targeting increases in recycling rates and improved materials management. During these discussions the conversation coalesced around Integrated Solid Waste Management (ISWM). For purposes of defining terms, EPA notes that ISWM is a comprehensive waste prevention, recycling, composting, and disposal program. An effective ISWM system considers how to prevent, recycle, and manage solid waste in ways that most effectively protect human health and the environment. 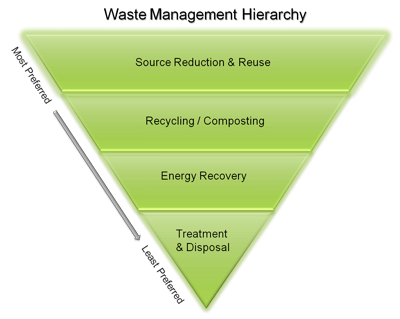 ISWM involves evaluating local needs and conditions, and then selecting and combining the most appropriate material management activities for those conditions. The discussions also led to proposals for two definitive tools that could assist local governments in improving their materials management operations. One was a process or tool through which local governments could easily assess the potential for providing new or expanding existing services. The second tool envisioned centered around the need for being able to explain the business case for recycling and more sustainable materials management. To this end, the second tool provides information essential for system accounting and funding methods. Region 4 EPA funded the development of these tools and has asked SERDC to host these tools and make them available to local governments in the Southeast and elsewhere. The Introduction described above discusses many forms that can be useful in documenting the information regarding costs and revenues relevant to ISWM systems. While copies are included in the handbook, the Excel® versions included are more functional for actual use.